Raccoons can cause all types of damage to Indiana residents’ homes and businesses. These animals find numerous ways to get into your property. Once they gain access, they are able to cause a great deal of damage. 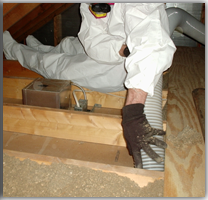 Some of these damages include soiled insulation or drywall, raccoon odor damage, and structural damage too. Raccoon odor is essential to have removed due to it attracting other animals. 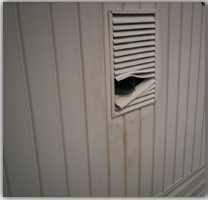 So if you are looking to get your raccoon damage cleaned up and your home or business repaired back to its original condition, give us a call today. 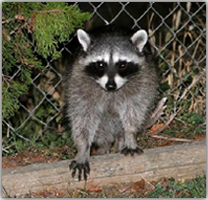 Raccoon Damage can be covered by your insurance. We have over 20 years of experience working with numerous insurance companies here in Indiana. You can rest assure we have the knowledge to make this process as worry free as possible. 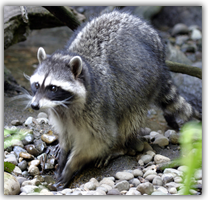 We handle everything from raccoon removal to the damage repairs. Best thing about it, everything could be paid by your insurance. So, give us a call and we will help you with the raccoon damage process.